Christmas comes early on OASAP ! 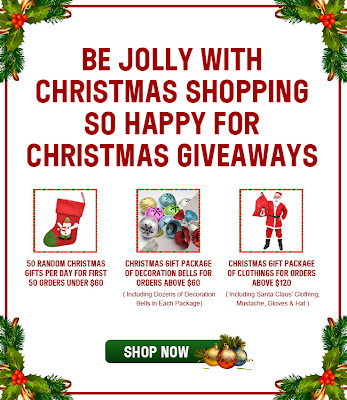 Good news from Oasap: You are eligible for these very interesting free offers from Oasap below if you make your purchase in Oasap.com. 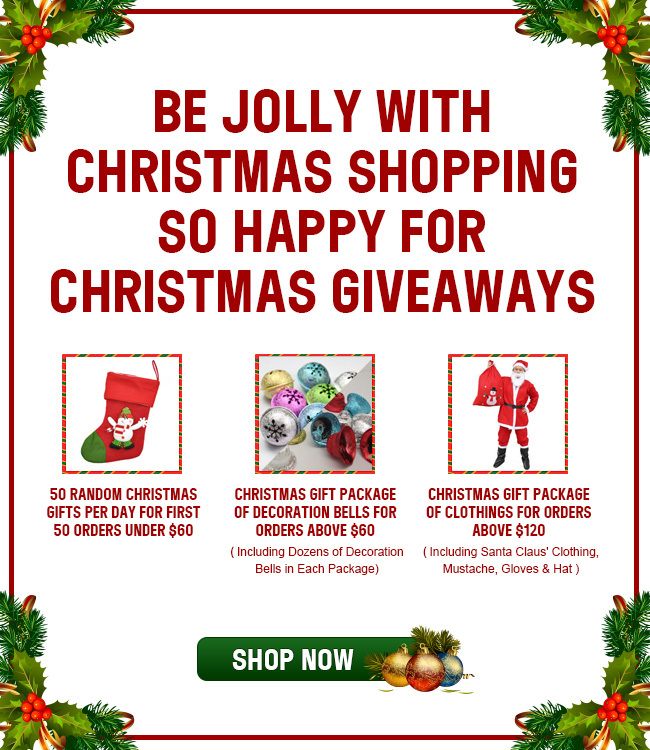 You can have random christmas gift, decoration bells package or even a package of clothing if you shop now! You can see my review on Oasap clothing here, here, and here. If you want to purchase something on Oasap feel free to use my code that can get you a 25% OFF discount. Just put on my code on the shipping cart when you check out. It will be valid until December 31st. And don't forget that they ALWAYS offer FREE SHIPPING WORLDWIDE.